This takes the prize as not only the quickest border crossing that we’ve done but also the most fun. 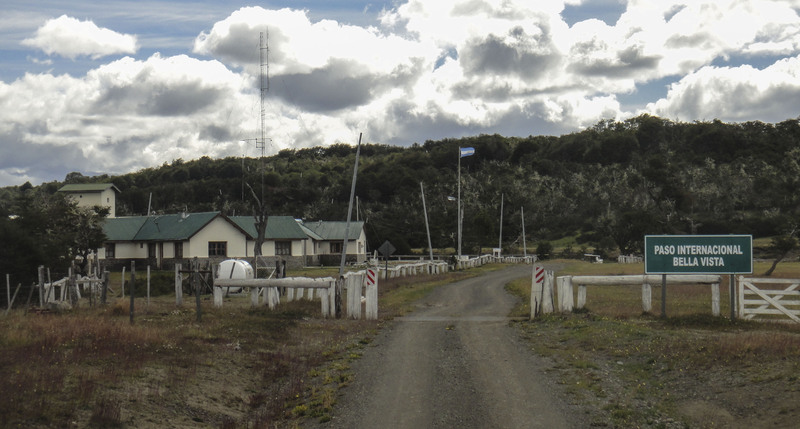 The Argentine side of the border is a reasonably big complex of buildings with a fairly dilapidated look about them. There is a boom across the road where you stop. 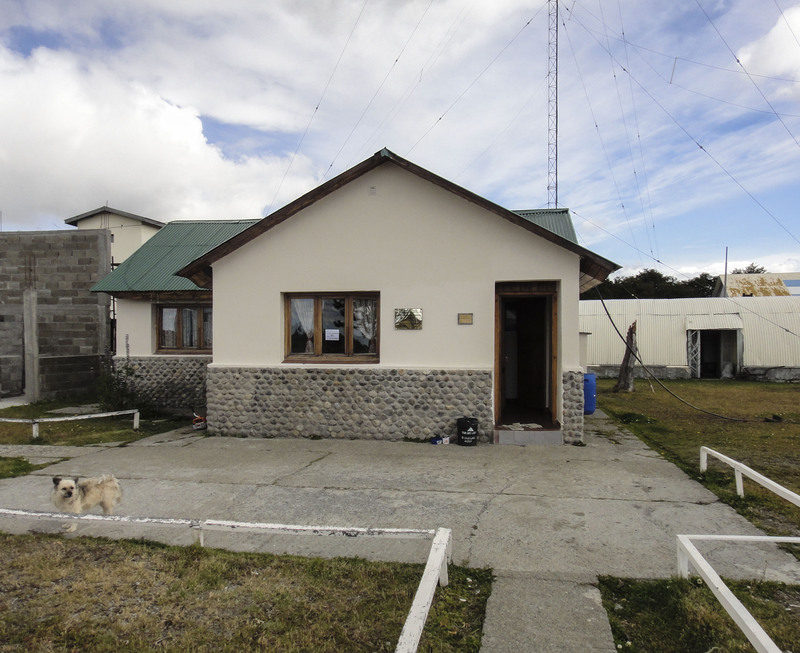 The actual border building looks more like someone’s house. 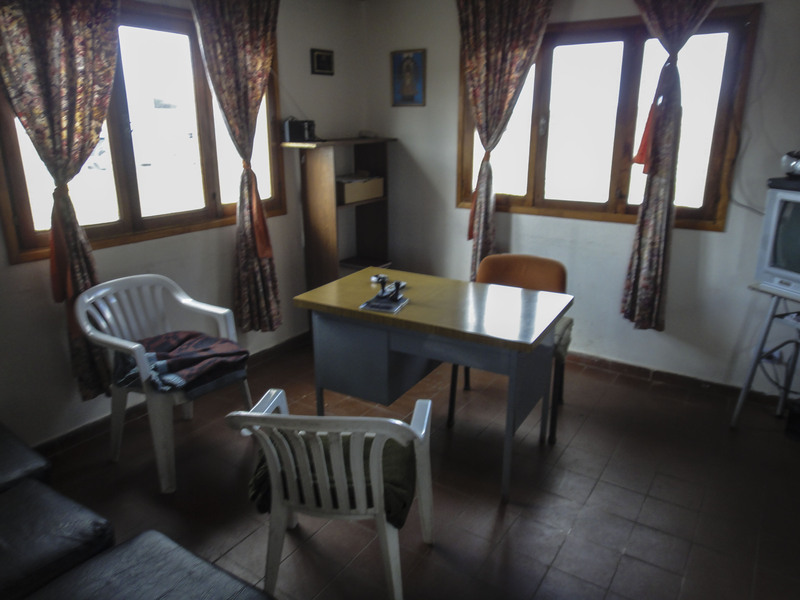 When we arrived there was no one around but by the time we were out of the truck the Migracion guy had appeared and he wandered off to get the Aduana guy. The little dog was a nasty little thing and went absolutely mental at me. Once they were both there we handed over our passports and TIP. They stamped them and we were done in around 2 minutes. I wouldn’t get here too early in the morning though or you might be getting people out of bed ! One of the guys lifted the barrier for us and we were done. Between the two borders there is a river which needs to be crossed. 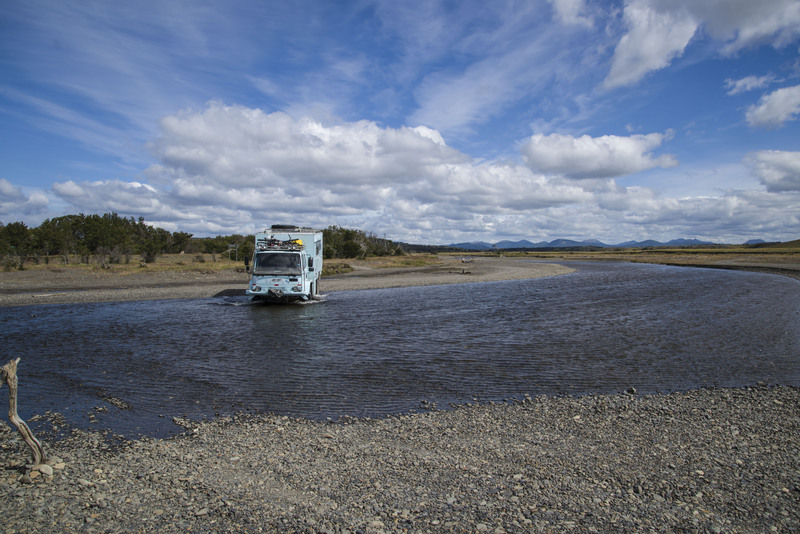 There is a fairly shallow fording place which in good weather can probably be done on a motorbike. 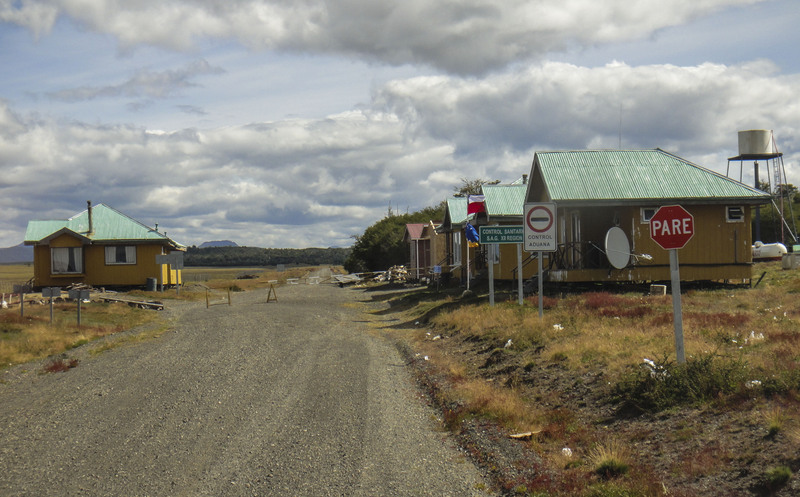 A couple of hundred metres after the river there is a small collection of buildings making up the Chilean side of the border. When we arrived there was no sign of life and the main building was locked. 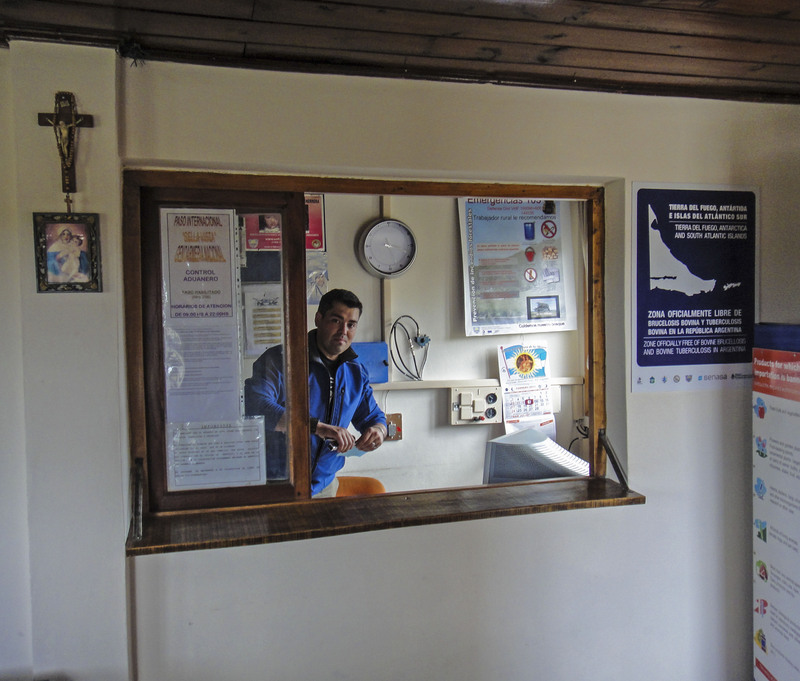 However we knocked on the door of a building a bit further up and this roused the border staff. There were three guys – Migracion, Aduana and SAG. They opened up the locked building – not using a key but using a scrap of metal to jimmy the lock ! Again the border was really quick and easy . We were through in only a couple of minutes. 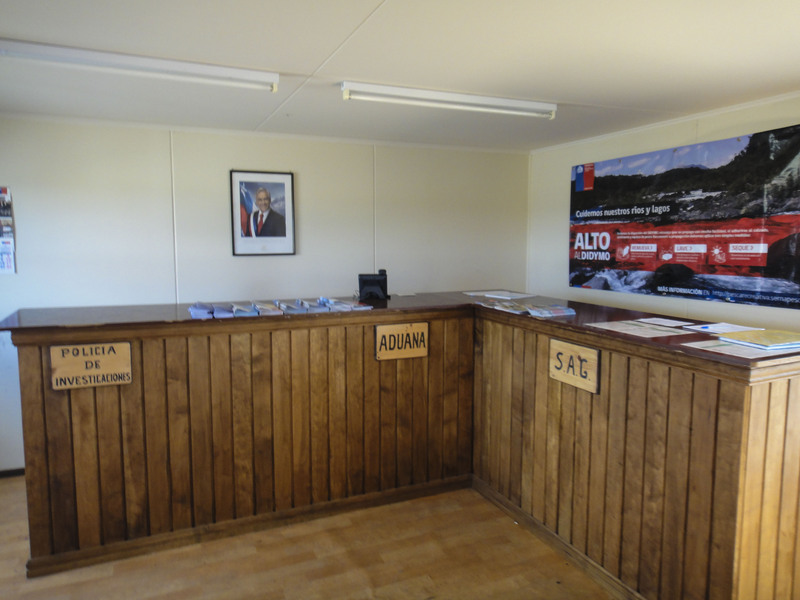 The guys here were really friendly and gave us a bunch of tourist material for the Chilean side of Tierra del Fuego. They also told us that only 100 people a year use this border ! The SAG (food) check was the easiest we have had. We owned up to some potatoes and an onion. However when he came in he found some garlic we’d forgotten about and surprisingly let us keep it. He didn’t really look in any of the cupboards, only the fridge. Total time for the border both sides was about 15 minutes making it the quickest border we have done on the whole trip. Although the road to and from the border is dirt it was in excellent condition the whole way. Great blog, I was just wondering if you had any challenges with getting 3rd party insurance at the various borders? Good to see you made it over this border. 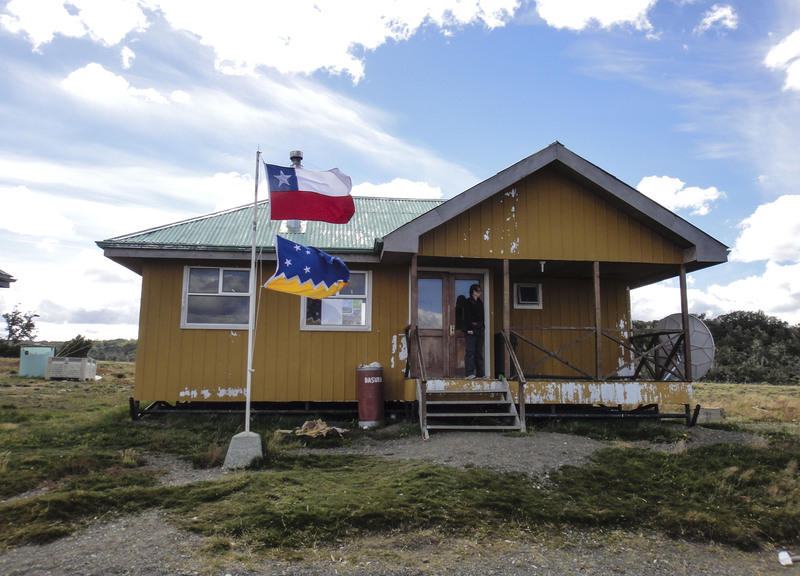 We drove the 70km to this border in November to find it closed and had to go all the way back 😦 I think that it is only open for the summer season…..
Good post, I’m looking to fish the Rio Grande on the Chile side and then do this border crossing on my motorcycle. Then head to Ushuaia. The river crossing looks doable from your picture. How deep would you say it was? We met a guy who had gone through on a bike. The bottom is soft shingle so not too easy but water isn’t that deep. Good luck ! We met a biker who had got across this river. The water isn’t that deep but the bottom is fairly loose gravel so it will be a bit of a challenge but should be doable. Good luck.